▷ What Are the Benefits of Red Light Therapy? / What Are the Benefits of Red Light Therapy? When it comes to improving health and enhancing function, people are always looking for an edge. Whether it be in the form of a new supplement, a new training technique, or a new piece of hardware, it doesn’t really matter – there can be huge health benefits to be had by finding ways to better yourself easily and efficiently through the use of new technologies. With this in mind, red light therapy is a treatment method that has grown in popularity exponentially over the last decade. Red light therapy has been suggested to promote tissue healing, enhance recovery, increase skin quality, and even stave off age related declines in health. 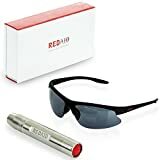 Red light therapy (also known as low level laser therapy) involves having low powered red-light wavelengths emitted from an external device through the skin and into the tissue below. These wavelengths reach a depth of around 10 milometers and aren’t actually felt by the human body, as they don’t produce any heat. The action of these wavelengths has been suggested to impact the nervous system, the cells of the body, and various metabolic processes, to enhance cell growth, promote tissue healing, and boost general health and function. Given the increasing popularity of red light therapy, there has been an abundance of research performed that looks into its effectiveness. As a result, we have taken an objective look into this research to establish how effective it really is. Does Red Light Therapy Increase Metabolism? The application of red light therapy on cells in vitro (AKA in the lab and NOT in real humans) has been shown to boost the activity of the mitochondria. Given that the mitochondria are the where all energy is produced within the human body, this does suggest that red light therapy may have the ability to increase both energy production and metabolic rate . Furthermore, red light therapy has also been shown to increase blood flow, which in itself requires an increase in energy expenditure to maintain . With this in mind, the application of red light therapy may indeed lead to increases in metabolism in the short term, although more research in actual live humans is needed to determine this with any degree of certainty. Does Red Light Therapy Help Repair Wounds and Damaged Tissue? 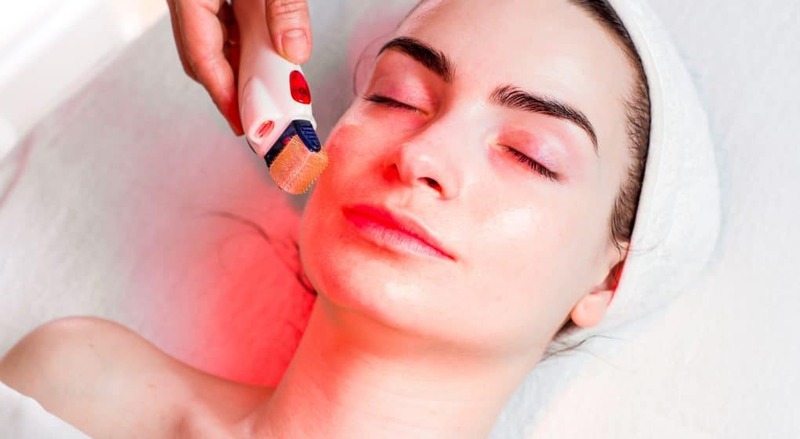 In conjunction with its impact on metabolism, red light therapy has also been shown to enhance the rate at which damaged tissue heals, indicating a capacity to promote and accelerate wound healing. This is because the wavelengths emitted during therapy stimulate the activity of specific cells known as fibroblasts. These cells synthesize connective tissue, and therefore play an important role in the production and layering of new tissue at any sites of injury [3,5]. Does Red Light Therapy Help Immune Function? Red light therapy has been suggested to improve blood flow and cause reductions in cellular inflammation . As inflammation places the immune system under unnecessary duress, it can indirectly lead to an increased susceptibility of disease and illness. As a result, red light therapy may have some capacity to improve immune function indirectly, although more research is needed. Does Red Light Therapy Reduce the Side Effects of Cancer Treatment? One of the most common treatments for cancer (of any type) is chemotherapy – which although effective, does have a host of associated side effects. One of the most common and painful side effects of chemotherapy is the development of wounds and sores on the skin. As red light therapy has been shown to have a positive impact on wound healing and tissue repair, its application has been suggested to help mitigate the side effects associated with cancer treatment in a very positive manner . Is Red Light Therapy Helpful for Hair Loss? Red light therapy was first discovered through its ability to stimulate hair regrowth in rats. With this in mind, it didn’t take long before this same application was applied to humans with somewhat mixed results. Red light therapy appears to improve hair health and help maintain hair growth, suggesting an ability to delay the onset of baldness and stave off age related hair loss. Given its tissue healing abilities, it has also been shown to help improve the effectiveness of hair grafts when used after hair-graft surgery . Despite all this, it will not reverse baldness or create new hair growth. Does Red Light Therapy Improve Arthritis? Red light therapy has been suggested to promote blood flow and reduce inflammation. While this is likely to have positive applications almost anywhere in the body, it holds significant importance when it comes to your joints. As the structural components of your joints are made up of mostly connective tissue, they receive very little blood flow under normal circumstances. As result, when they become inflamed or damaged, they tend to heal at a very slow rate. With this in mind, the application of red light therapy to sore or damaged joints has been shown to reduce pain, while also improving mobility and function [2,3]. 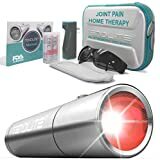 Similar effects have also been observed in those individuals suffering from joint arthritis (which is a disease typified by severe joint inflammation), suggesting that red light therapy does have good a capacity improve arthritis . Does Red Light Therapy Help Depression? Exposure to light has been shown to cause large improvement in mental health, while also reducing both seasonal and non-seasonal depression. Taking this into consideration, the application of red light therapy has been shown to reduce the signs and symptoms of depression (both seasonal and non-seasonal) in a number of population groups, indicating it is quite effective [11, 12]. Does Red Light Therapy Increase Testosterone? So, unfortunately when it comes to red light therapy and testosterone production the research gets a little scratchy. There has been research to suggest that the application of red light to the testes of rats can enhance testosterone production , although when it was performed on rams it was shown to have no effect . As there is currently no human research performed in this area, we can’t really recommend red light therapy to enhance testosterone production in any capacity. Does Red Light Therapy Help Rosacea? The application of red light therapy to the skin has been shown to stimulate skin cell regeneration, while also increasing the production of collagen (one of the skins main structural proteins) within the skin tissue. As a result, red light therapy has been suggested to cause significant improvements in skin quality, noticeably enhancing skin complexion, texture, and health, while simultaneously reducing the severity of rosacea . 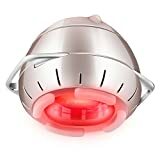 Does Red Light Therapy Help Acne Scars? Red light therapy appears to exhibit an anti-inflammatory and antibacterial effect on the skin, while also promoting wound healing. With this in mind, it appears to not only offer us with a viable method of helping us heal our acne scars, but also treating mild to moderate cases of acne . Does Red Light Therapy Help Back Pain? Due to its ability to promote blood flow and reduce inflammation, red light therapy has been suggested to offer an effective means of reducing lower back pain. Research suggest that this is indeed the case, with red light therapy demonstrating an ability to reduce pain in people suffering from both chronic joint disorders , and from chronic non-specific lower back pain . Does Red Light Therapy Help Shingles? Shingles is a disease that describes the onset of acute inflammation within nerve ganglia throughout the body, resulting in excessive pain and a blistering skin rash. Given red light therapy’s affect on wound healing, it has been suggested to improve the rash associated with shingles. Additionally, its application has also been shown to reduce some of the pain associated with shingles – although it is important to note that it does not offer a method of treatment, merely a way to recue the severity of the symptoms . Does Red Light Therapy Help Psoriasis? Psoriasis is a chronic skin condition that involves the rapid turnover of skin cells, leading to areas of tough and irritated skin that can become quite painful. While there is no set cure for psoriasis, red light therapy has been shown to have a significant impact on both its severity and the pain associated. This makes it a great option for those individuals who suffer from psoriasis looking for a relatively simple method of improving their symptoms . Does Red Light Therapy Help Weight Loss? As red light therapy has been shown to increase blood flood throughout the body and enhance the activity of cellular mitochondria, it is though to result in a subsequent increase in energy expenditure acutely [6, 7]. Hypothetically speaking, this may lead to weight loss over time, although there is no real evidence to support this claim. Does Red Light Therapy Help Cellulite? We already know that red light therapy increases the production of collagen (one of the skins main structural proteins) within the skin . Although this has been suggested to improve skin tone and reduce cellulite within the skin, there is no real evidence to suggest that this is the case. As such, we cannot recommend it use as a treatment for cellulite. Considering that red light therapy does appear to be a viable option to promote wound heling, skin regeneration, and joint health, we wanted to give you some options that you can use at home. Each of these are excellent products in their own right, rounding out what we believe to be the best three red light therapy devices on the market. This product from TENDLITE is the most popular red light therapy device on the market at the moment by a very long way. Combining highly durable construction with excellent quality materials, this red light is not only highly effective, but will also last you a very long time. This particular device is approved for use by the FDA, which should give you a very solid indication of both its effectiveness and its safety. For those after a high quality red light therapy device that can be used at home easily and efficiently, its very hard to look past this option. This red light therapy device by Han-Moxa is quite unique in that it can be attached to the skin via a number of simple straps, each designed specifically so that it can be applied easily and effectively to the various parts of the body. Interestingly, this same device also includes optional aromatherapy capacity, in which it can be combined with specific aromatherapy discs that emit scent during the lighting process. This may have additional healing effects, while also contributing to mood enhancement and improvements in general health. 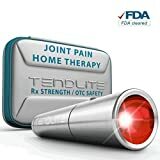 This is a fantastic choice for those after a unique option that has the ability to combine a number of treatment modalities into one. And last but not least, we have this red light therapy device form Red Aid. This particular device uses medical grade production quality to ensure the effectiveness of your red light therapy. This is combined with some incredibly good quality construction materials, ensuring that it will genuinely last you a lifetime. This product has become increasingly popular over the last year or so, where it has garnered an excellent reputation for its durability and effectiveness. Red light therapy appears to be one of the few quality home treatment options when it comes to enhancing tissue health. With evidence to suggest it can enhance skin quality, promote joint health, and enhance wound healing (among a host of other applications), it really is an effective choice. The three red light therapy devices listed in this article are what we believe to be the best three options available on the market at the moment. If you have had any experience using red light therapy (in any capacity) we would love to hear about it, so drop us a comment and we will get back to you ASAP.